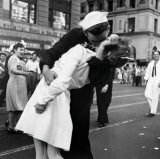 Inserisco la prima canzone da Industry, album che ci era stato segnalato da Flavio Poltronieri, inciso in collaborazione con Danny Thompson. 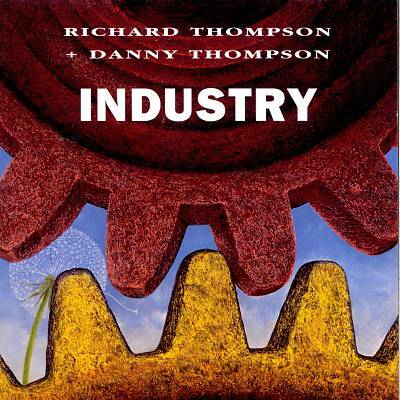 Industry, the first official collaborative release from singer/songwriter/guitarist Richard Thompson and double bassist Danny Thompson, is a superb collection of pieces: six songs by Richard and five instrumentals by Danny, revolving around the impact of the industrial age from the 18th century to the 1990s. The record doesn't come across as, and isn't meant to be, a history lesson, but rather an attempt to evoke the feel of the times and capture the lives of the people who lived and worked through the period. The Thompsons, joined by members of Danny's band Whatever, as well as his uncles Albert and Harry Thompson on trombones and Richard's longtime associates Dave Mattacks on drums and Christine Collister on backing vocals, incorporate jazz, rock & roll, and traditional British folk music to convey their impressions of industry through the years. Richard, with songs such as the melancholy "Drifting Through the Days," the edgy "Saboteur," and the bouncy folk of "Lotteryland," has created some of his most challenging music to date. Meanwhile, Danny, whose family actually worked the coal mines, elicits the sadness, drudgery, and even joy of industrial England with sounds ranging from 18th century-style brass bands to British traditional music and modern jazz. 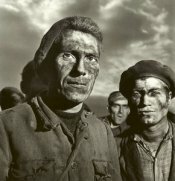 Industry, from the foreboding opening instrumental, "Chorale," to the mournful closer, "Last Shift," is for the most part a dark ride through the mines and factories, and the lives and times of the people who made and were affected by the industrial age. The record makes an excellent companion piece to another Richard Thompson project, 1990's Hard Cash, a collection of songs by various artists from the British folk scene about the working class in Britain.